John and his Big Brother extended family. A: I had a fantastic experience in Lambda Chi Alpha at Lehigh. During rush, the brothers were smart, funny, and welcoming. And I liked the other freshmen that were gravitating toward the house, so joining was an easy choice. Being an Associate Member instead of a pledge was also important, making it less difficult to feel included and respected. I was an only child, so fraternity life forced me to consider other perspectives, to embrace a shared purpose, and to seek compromise—all of which served me well later in life. I also learned how to be a leader at Lambda Chi, often just by watching the older brothers and listening. This proved especially valuable when, despite strong competition, I was elected IFC President—I was the only candidate who sought out and talked to each and every house President at Lehigh prior to the vote. Most importantly, Lambda Chi deepened my experience of friendship and my appreciation for camaraderie. 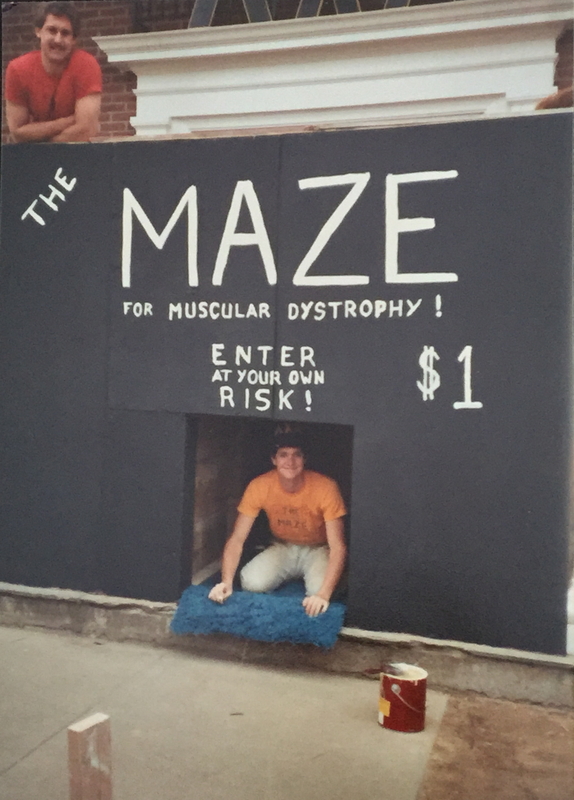 A: I have many great memories from fraternity life (Foosball, IFC cocktails, our New Year’s Eve party after Steak and Clams) but at the top of the list would be The Maze during Greek Week. It was so much fun to build, everybody pitched in, and the eventual party was epic. I also loved just being up on The Hill, especially in the autumn when the air was crisp and the leaves were rustling through the woods—along with a sea of plastic cups! A: The friendships that I made at Lambda Chi are still important to me today. 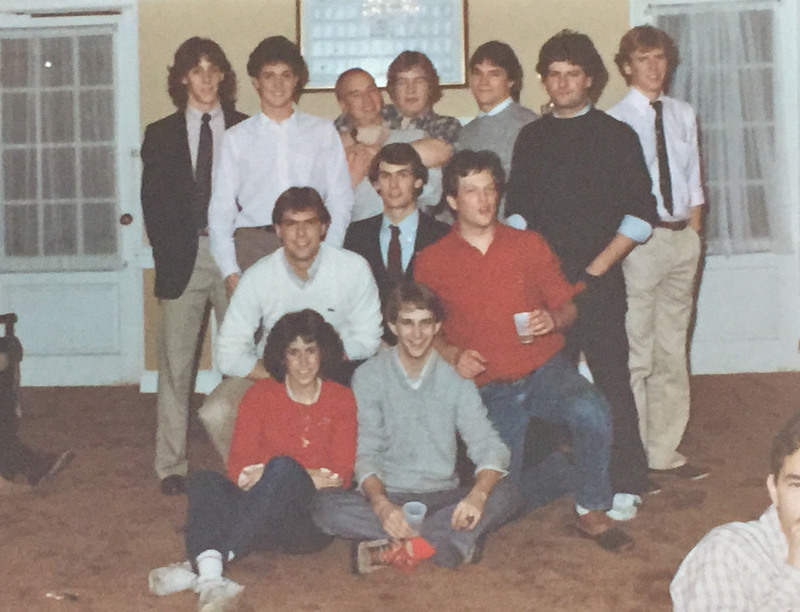 A small crew of brothers get together every summer (thanks Dave Titus ’85! 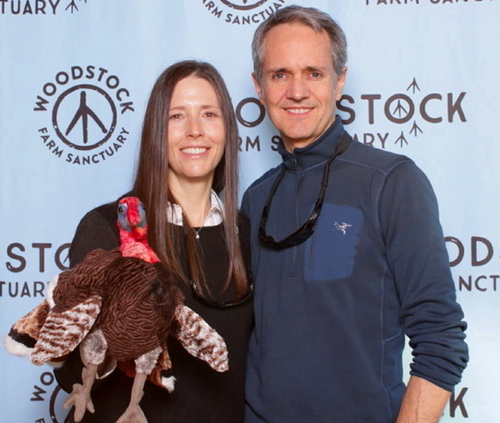 ), and I manage to join them every other year or so. A group of Lambda Chi brothers attended my wedding in 2008, which meant a lot to me. I’ve also been able to attend almost every Lehigh-Lafayette home game since graduation and it’s always fun to see who shows up. Nowadays social media helps to maintain some of my Lambda Chi connections. Even if I don’t talk to somebody for a long time it’s nice to follow their exploits online and keep track of the things they post or share. Q: What’s new in your life today? A: Life after Lehigh has been an interesting ride, full of ups and downs, though I’m grateful for more ups than downs. After graduation, I worked in Investment Banking for several different firms in New York City, walking away from that industry in 1998 to become a writer. I eventually went to graduate school in Manhattan and earned a Master’s degree in creative writing, which was also a valuable experience. I sold my first screenplay a few years ago and have several more writing projects in the works. The majority of my time is spent in Rhinebeck, New York, in the scenic Hudson Valley but we also have an apartment in Manhattan where my wife Keely still works. In our spare time, we like to travel, especially to hiking and cycling destinations. A recent favorite was Banff National Park in the Canadian Rockies. Q: Do you feel it is worth perpetuating the Lambda Chi experience for future Lehigh students? A: I’m certainly in favor of perpetuating my Lambda Chi experience for future Lehigh students so it’s more than a little heartbreaking that our chapter was dissolved. Re-colonizing is something I hope our alumni consider. I don’t imagine it will be easy but, hey, nothing worthwhile is easy.